To celebrate Antipode’s 50th anniversary, we’ve brought together 50 short keyword essays by a range of scholars at varying career stages who all, in some way, have some kind of affinity with Antipode’s radical geographical project. The entries in this volume are diverse, eclectic, and to an extent random, however they all speak to our discipline’s past, present and future in exciting and suggestive ways. 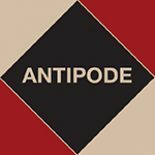 The online version of Keywords in Radical Geography: Antipode at 50 is free to download here. Print copies can be purchased for just GB£7 / US$10 from our publisher, Wiley. The Editorial Collective would like to thank the good people at Wiley – especially Amanda Wilson, Angela Miguel and Jacqueline Scott – for all their work making this happen. And thanks, too, to all our contributors; the brief was broad, and they responded to it with elan, producing innovative essays that push at the boundaries of radical geographical thinking. They critique and challenge settled orthodoxies, while engaging with the context of intellectual traditions and their particular trajectories, putting creative critical analyses to work to contribute to strengthening a diverse Left politics beyond 2019. This entry was posted on 29 March 2019 by Antipode Editorial Office in News and tagged antipode, critical, geography, history of geography, journals, keywords, publishing, radical.